$1,000 Walk Your Way Grants Available! Whether in the classroom or on the street, student safety is a priority for everyone involved in the education of Montgomery County's youth. 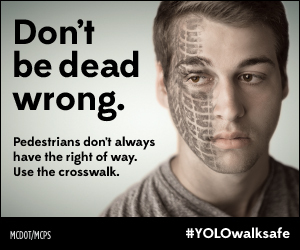 That's why the Montgomery County Department of Transportation created the YOLO campaign and is partnering with Montgomery County Public Schools to raise awareness of the risks of distracted walking and other dangerous pedestrian behaviors. 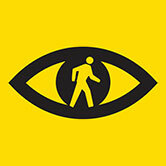 Ideas and instructions on how to implement pedestrian safety initiatives at your school. YOLO, short for "You only live once," is popular teen slang that's often used as a hashtag on Twitter and Instagram and usually refers to brash decisions made without regard for consequences. 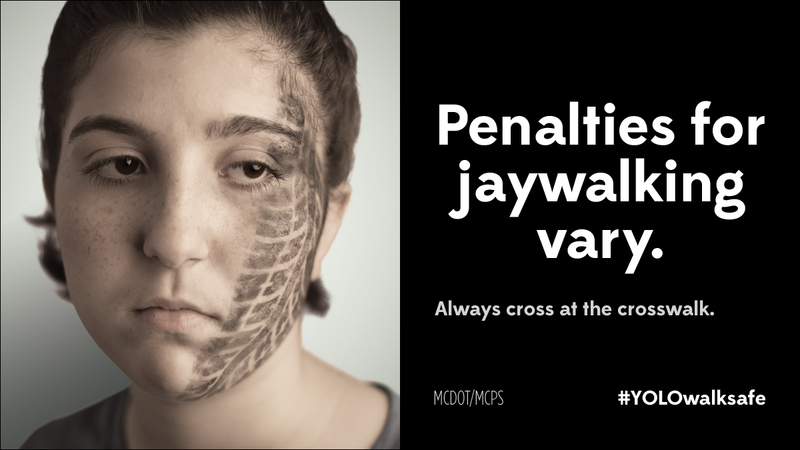 However, when this tongue-in-cheek phrase is paired with visuals of deadly repercussions, it becomes an ominous warning of dangers on the road. Whether in the classroom or on the street, student safety is a priority for everyone involved in the education of Montgomery County’s youth. 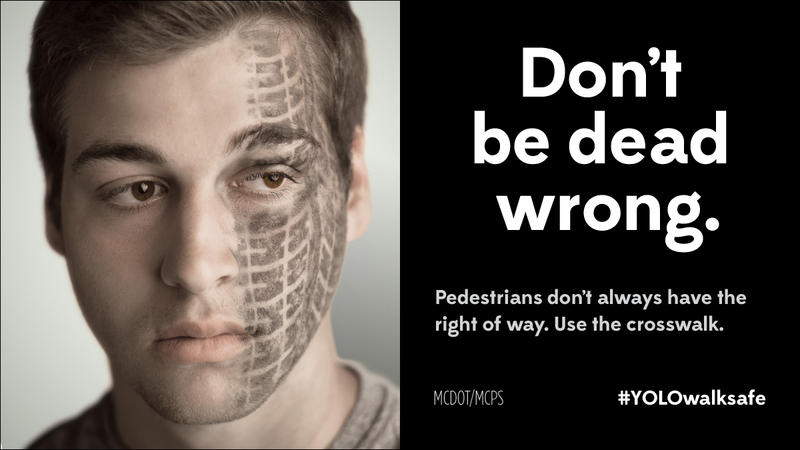 That’s why the Montgomery County Department of Transportation is partnering with Montgomery County Public Schools to raise awareness about teen pedestrian safety. 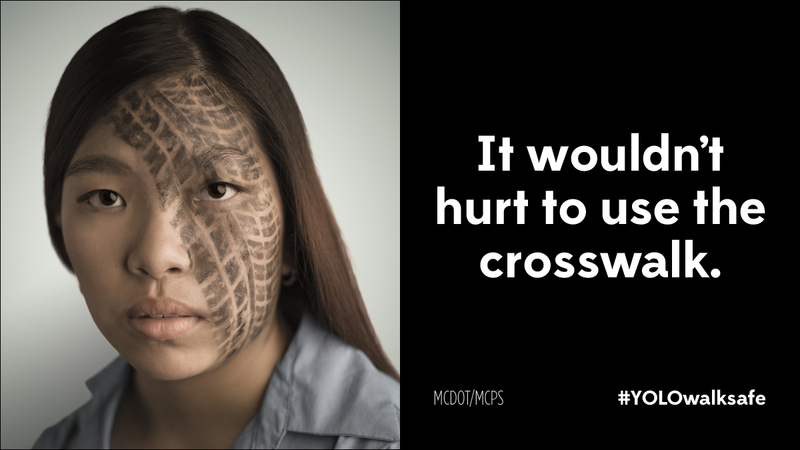 In the last five years, cars struck 292 teenage pedestrians in Montgomery County. 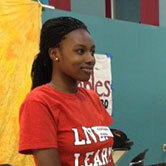 Safe Kids Worldwide tells us that high-school-age students are particularly at risk. 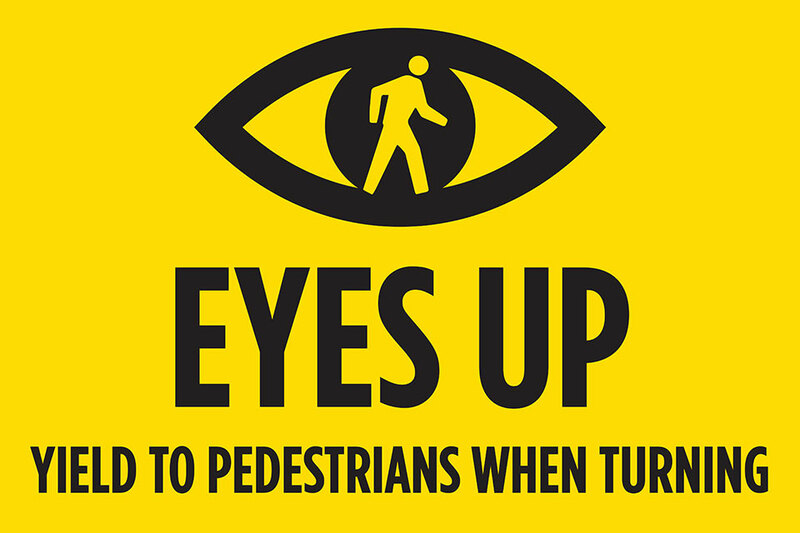 Teens ages 15 through 19 make up half of all underage pedestrian fatalities. 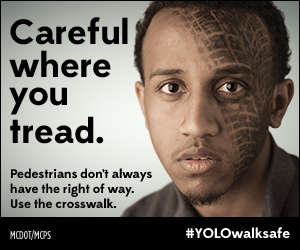 Many teens take undue risks such as crossing the street illegally or walking while distracted. 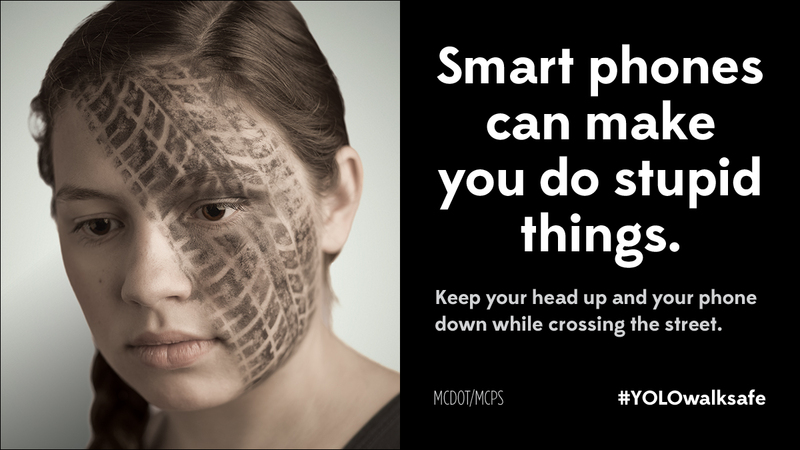 Drivers are also distracted and speeding, with deadly consequences. 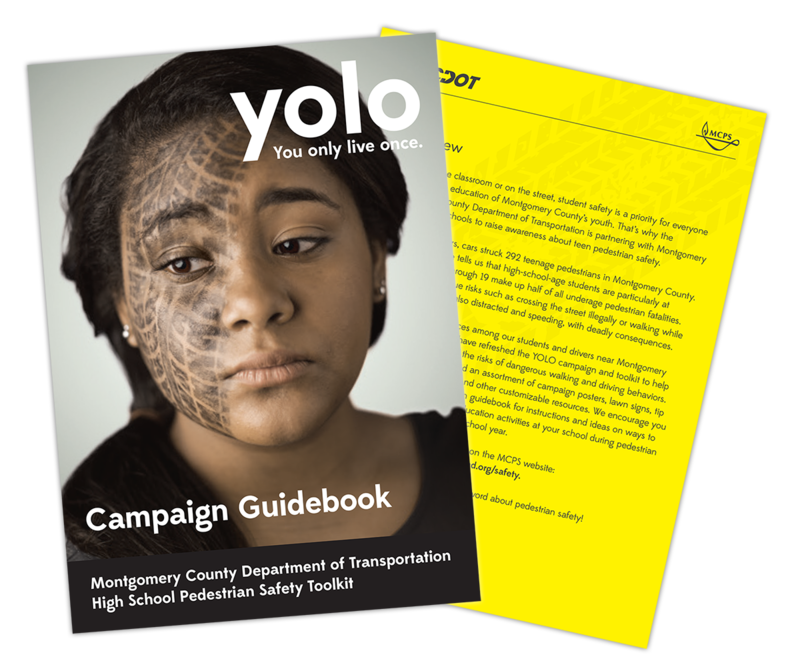 To encourage safe practices among our students and drivers near Montgomery County high schools, we have refreshed the YOLO campaign and toolkit to help schools raise awareness of the risks of dangerous walking and driving behaviors. Inside the toolkit you will find an assortment of campaign posters, lawn signs, tip sheets, PA announcements, and other customizable resources. 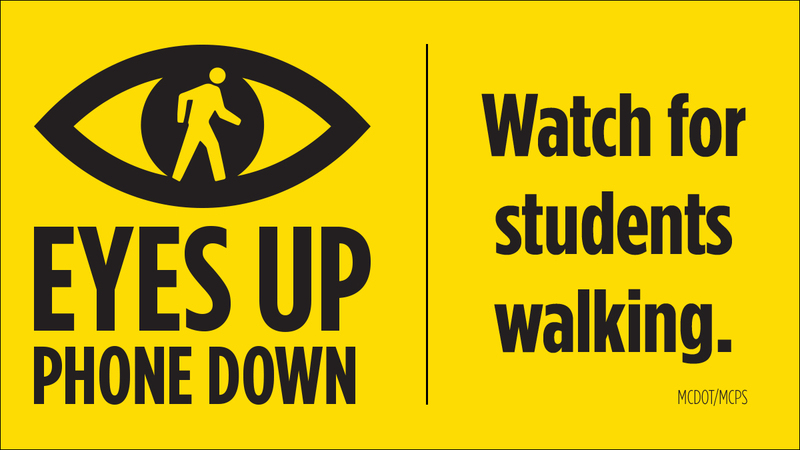 We encourage you to read the enclosed campaign guidebook for instructions and ideas on ways to implement pedestrian safety education activities at your school during pedestrian safety week or throughout the school year. 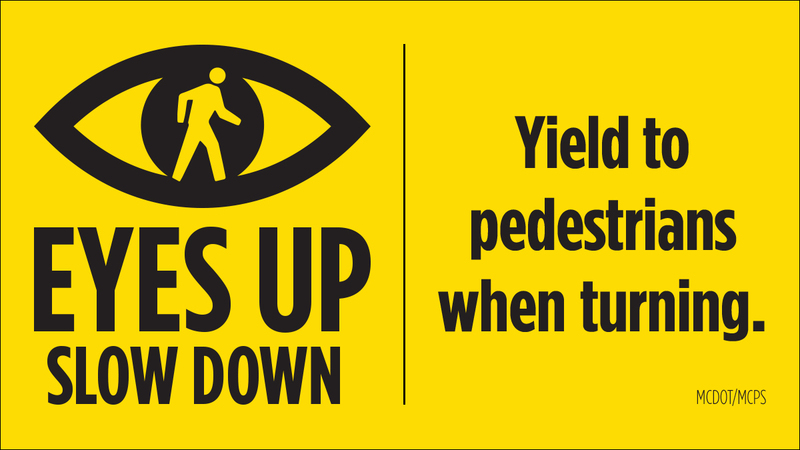 Thank you for helping us spread the word about pedestrian safety! Pedestrians don’t always have the right of way. Wait for the walk signal. 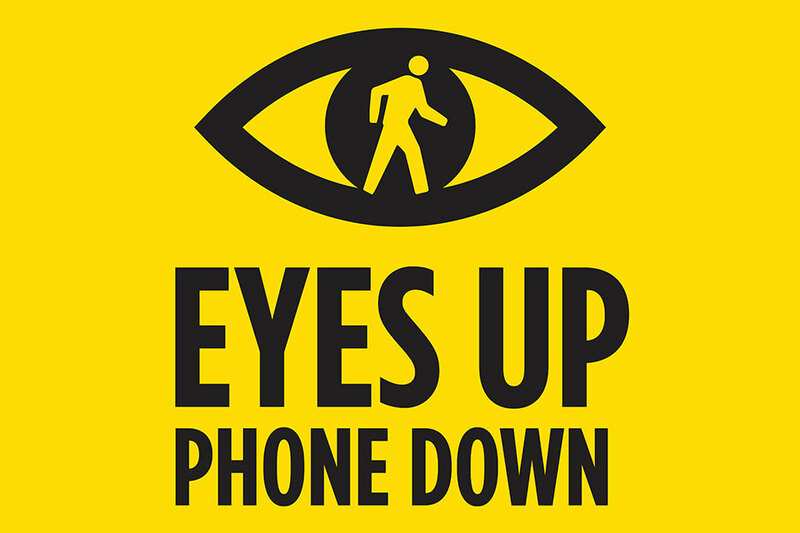 Put your devices down before crossing the street. In the last five years, drivers have hit 292 teens in Montgomery County. 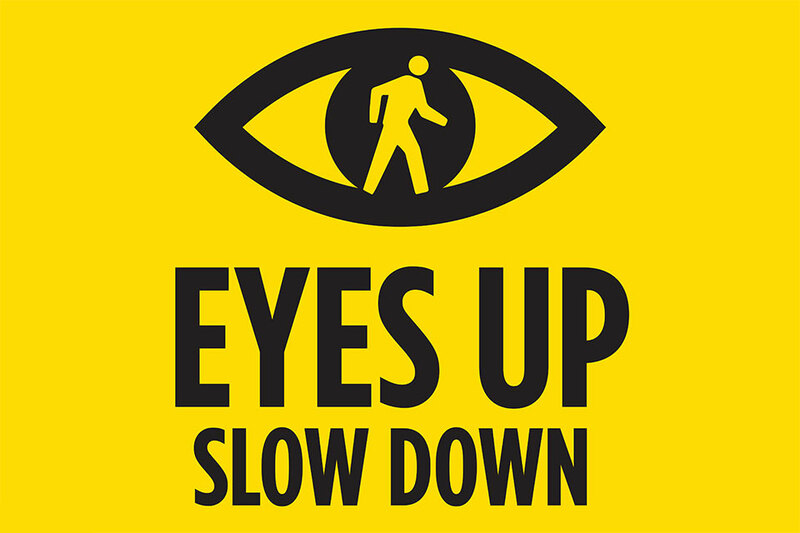 Teenagers ages 15 through 19 make up half of all underage pedestrian fatalities. 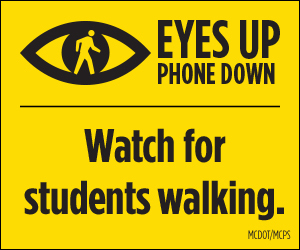 Half of students say that they use their cell phone when walking to school. 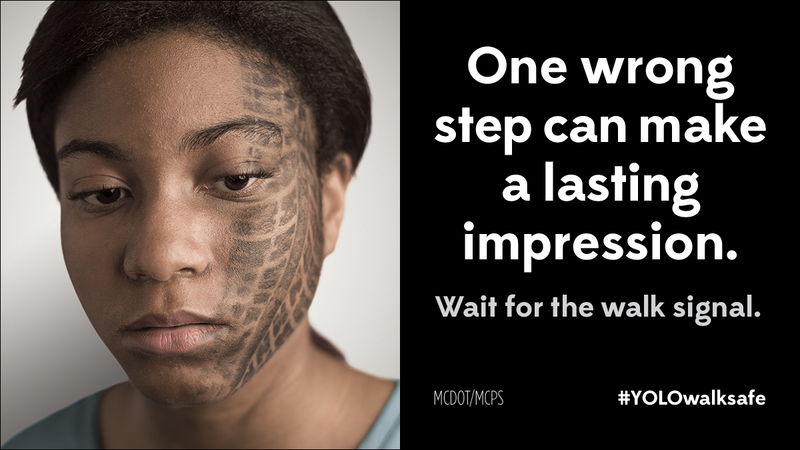 Maryland is in the top 10 with the greatest number of pedestrian fatalities among youth ages 12-19. 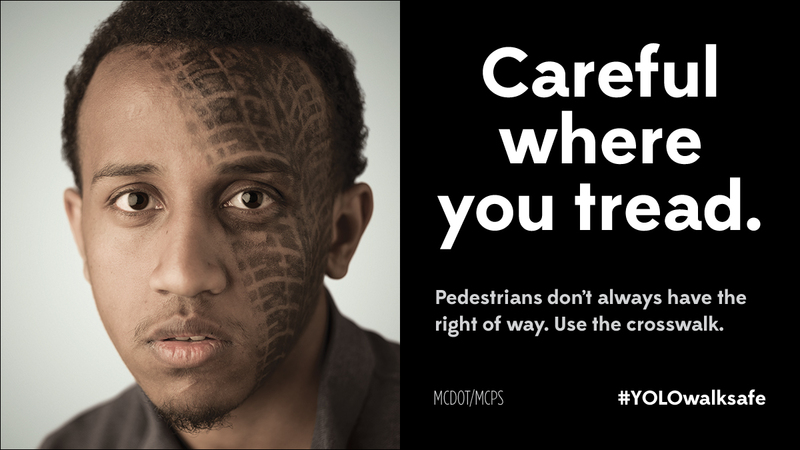 This contest at Montgomery Blair High School highlighted the "make eye contact" message to ensure that drivers see pedestrians before they step into the street. 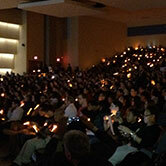 Gaithersburg High School highlighted pedestrian visibility in a glow-in-the-dark assembly. Receive up to $1,000 to create, design and implement a pedestrian safety education program at your high school. 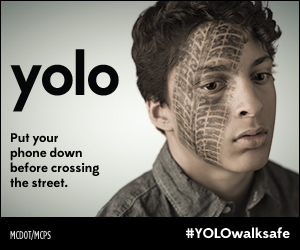 The YOLO campaign uses photographs of local Montgomery County teens to address the risks - and the ultimate consequence - of distracted walking. Many of these materials can be customized for your own school's communications channels. 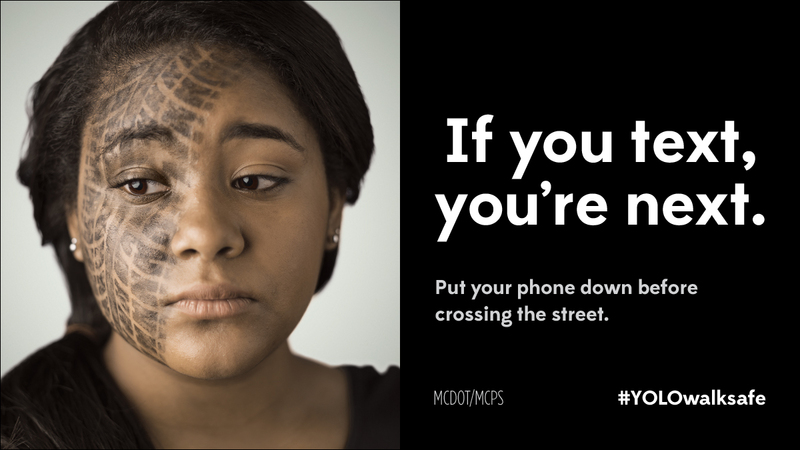 We are asking parents to join in this effort by talking to your child about the dangers of distraction and the importance of putting devices down before crossing the street. 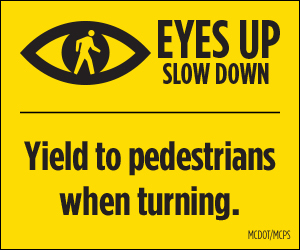 You can also help protect teens and other pedestrians by driving safely. Whether teens are walking to school, the park, or a friend's house, here are a few tips to make sure they get there safely. 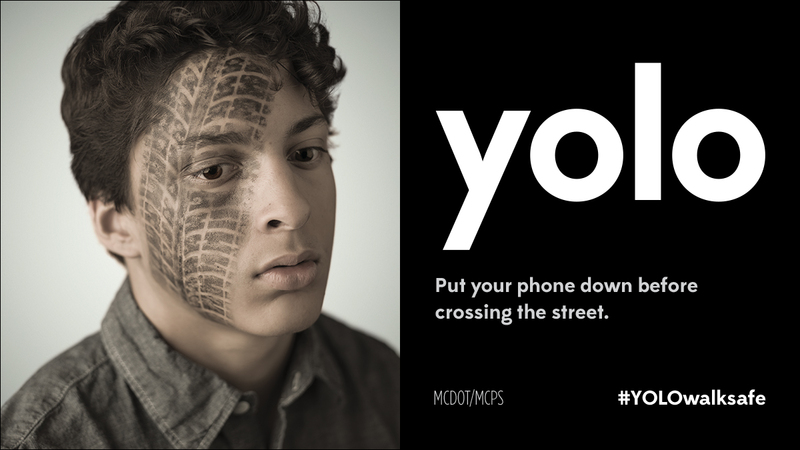 Montgomery County Department of Transportation created the YOLO campaign and is partnering with Montgomery County Public Schools to raise awareness of the risks of distracted walking and other dangerous pedestrian behaviors. Many of these materials can be customized for your own school's communications channels.